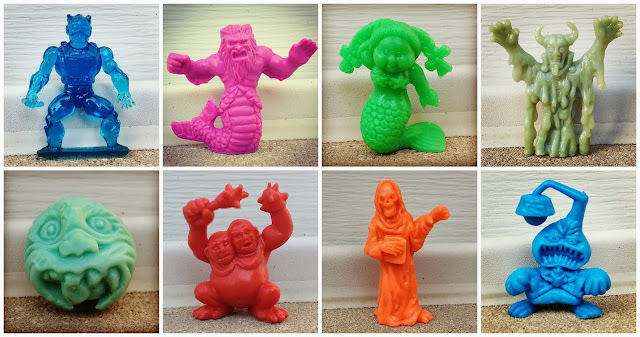 Any plans for a post relating to those Tiko Dunkin Monsters? I've got a handful of them and there's some fairly creepy designs amongst them! I would definitely like to! I haven't been able to find a whole lot of info about them, so it would probably be mostly photos of some with very basic info. I only have three of them. Would you be up for maybe contributing photos of yours for a post too? I have seven of them, all in blue. Found a website a long time ago showing pictures of a LOT of them, but can't remember where it was at the moment (I'll post it here once I find it again though). Great! Please email them to me whenever you're able to get around to it. And I would love to see that website, if you're able to find it again. Cool, whatever you can do would be appreciated (and thanks for the compliment on my photos!). That Nasty Nick in clear blue is beautiful. Yeah man, I'd have to say it's one of my favorite custom mini figures I own. 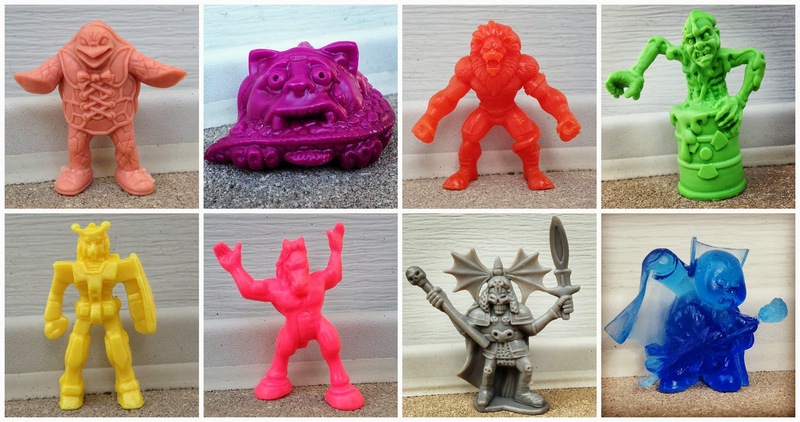 The material that muscle things uses for those figures is so unique and awesome, too. Whaaa? A Cryptkeeper mini? That's awesome. Yeah! I was totally unaware it existed until a couple months ago. I got it in a trade. Very cool figure.